A quality condiment, aged for at least twelve years in barrels rich in history and aromas. 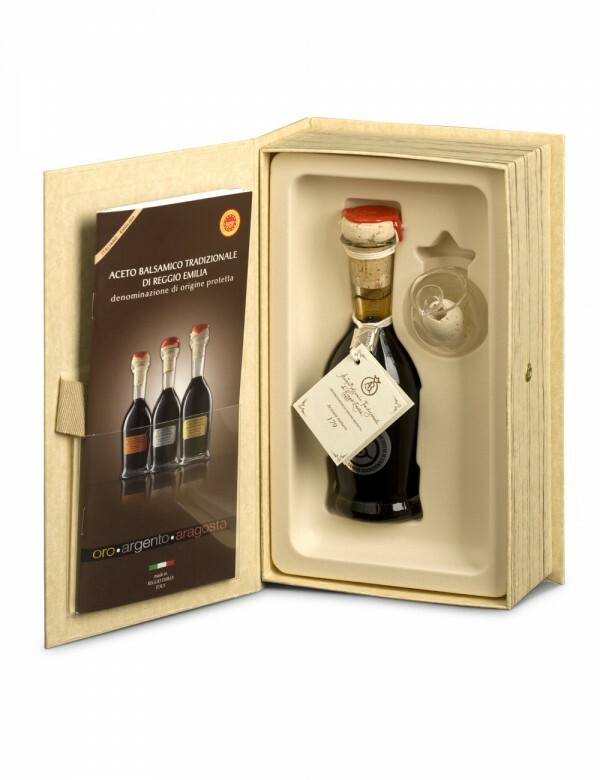 Traditional Reggio Emilia Balsamic Vinegar is guaranteed by the Protected Denomination of Origina mark. Savour the sublimity of the Bollino Argento variety's sweet and sour flavour. Traditional Reggio Emilia PDO Balsamic Vinegar is a quality product, to be savoured drop by drop. The secret behind such quality? No less than twelve years of ageing in barrels rich in history and aromas. The Bollino Argento variety is aged for 6 or 7 years longer than the Bollino Aragosta. It releases a complex and pleasant sweet and sour flavour on the palate. This balsamic vinegar is ideal with all spicy and seasoned cheeses, with Parmesan Cheese, for example, with first and second courses. Its rich and intense aroma and subtly sweet flavour makes it the perfect match for mayonnaise, sauces for stews and fish dishes, pasta and rice salads. Use it in cooking as the perfect condiment for beef fillet. Produzione: Mosto d’uva cotto invecchiato per almeno 12 anni in botti di legni diversi, imbottigliato e tappato (tappo legato e fissato con ceralacca manualmente). Punteggio assegnato alla degustazione compreso tra 270 e 299 punti.